In games like Space Hulk, you see what's going in inside the ship, but you don't really get a feel for what the ship is doing, itself. In a game like Star Wars Armada, you get a feel of what the ships are doing, but only an abstracted sense of what's going on inside the ship. But if you watch something like Star Trek, you know that what's going on outside and what's going on inside are definitely linked (and you wonder why those chairs don't have seat belts). 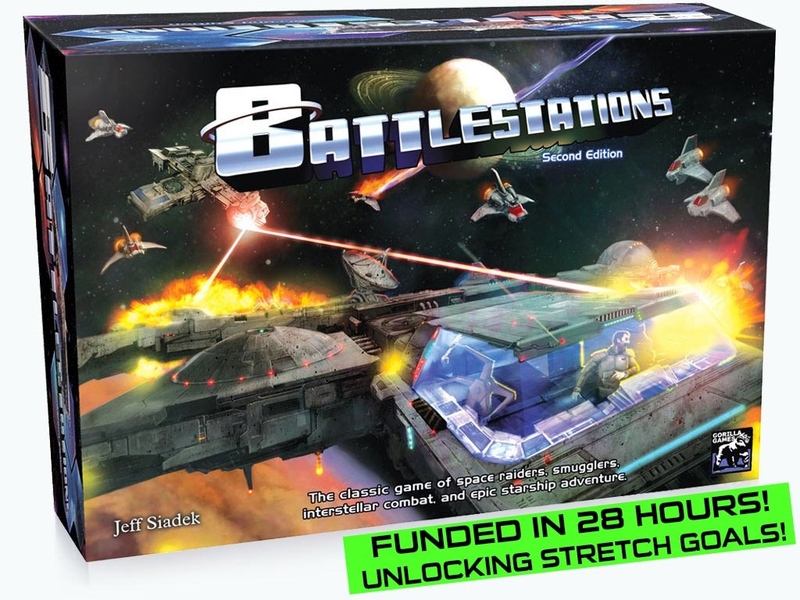 That's where Battlestations comes in, and they're up on Kickstarter now looking to fund a 2nd edition. Battlestations is a multi-map game what what goes on outside the ship has a direct effect on what goes on inside the ship. It's also a blending of board game and RPG, as the rules give you lots of flexibility in how you want to overcome the situations that arise during the course of a game. The first edition had bunches of supplements added to it to add new alien races and scenarios for game play. The new version looks to bring that same amount of material to you. The campaign has already passed its funding goal, so it's working on going through stretch goals now, and will continue to do so until the time runs out in 24.